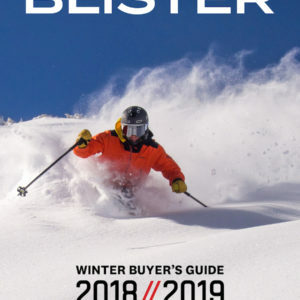 When it comes to women’s ski boots, there aren’t too many options out there for hard-charging ladies looking for a stiff, non race-specific boot. And while there are unisex boots that meet this criteria, many of those boots are only available in a mondo size 24.5 or larger. Thankfully, some companies have started making stiff (i.e., stated flex rating greater than 110), high-cuff, women-specific boots. And with a stated flex rating of 115, the Tecnica Mach1 Pro W LV is one of the main competitors in this category. The Mach1 Pro W LV was designed by women as part of Tecnica’s “Women to Women” project, and Tecnica says this boot is “specifically designed for women who rip.” While they also say a whole lot more about the boot, that’s the part that stood out to me. 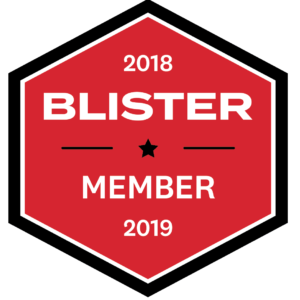 I’ve had the opportunity to test this boot in various conditions for over 30 days, and here I’ll offer my thoughts on the boot and how it compares to some other women-specific boots in this category. 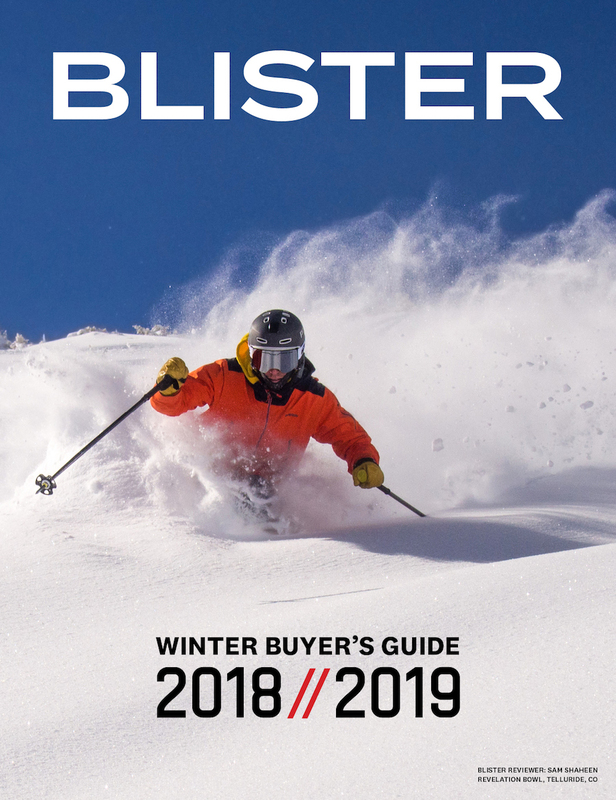 As we always note, fit is the most important element of a ski boot, and it’s important to be clear that everyone’s foot is different. My foot is fairly low volume, but my ankles are wider than average. I have limited mobility in my ankles, and a slight pronation. 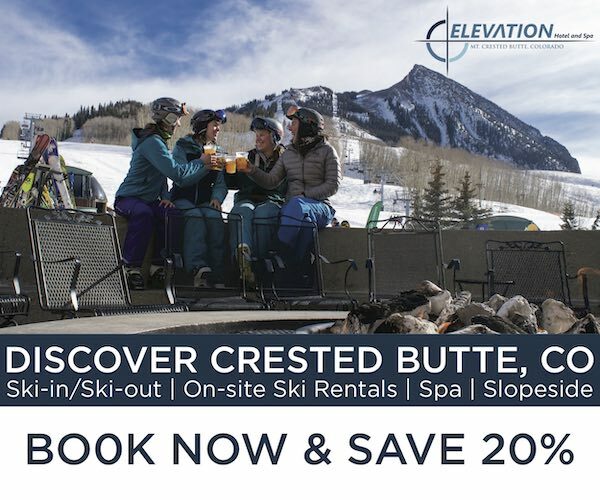 I almost always wear either size 23.5 or 24.5 ski boots, though I generally stick with a 23.5 for alpine boots. If you are lucky enough to have Tecnica-compatible ankles, I’m jealous. If you’re like me and don’t fall into that category, you will most likely need to spend some time with your local bootfitter getting the ankles punched out on the Mach1 Pro W LV. But other than the ankles, the Mach1 Pro W LV fit me well right out of the box. The heel pocket is fairly narrow, and it is a low volume boot overall. 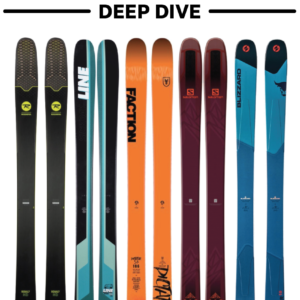 In the 23.5 size I tested, the length of the Mach1 Pro W LV (BSL 280 mm) is slightly longer than the Nordica GPX 105 W (BSL 275 mm) and Head Raptor 110S RS W (BSL 273 mm). The Mach1 Pro W LV is also noticeably narrower than both boots (except for the instep and achilles, where the Raptor 110S RS W is tighter). The Mach1 Pro W LV features a C.A.S. 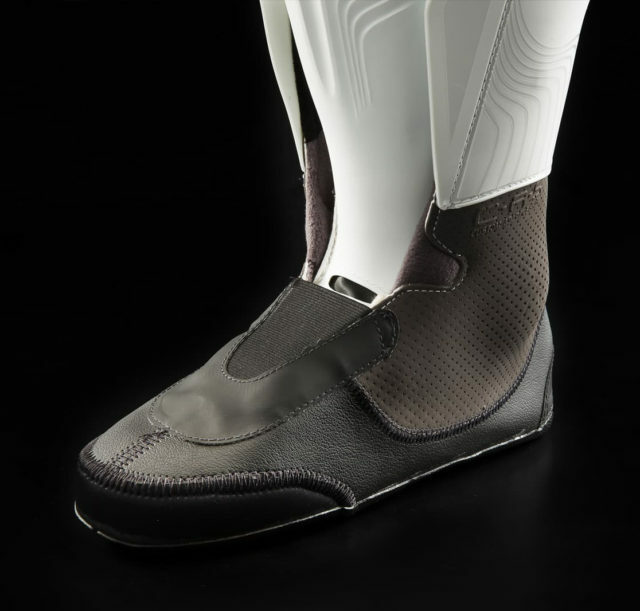 Cuff Adapt System that Tecnica says “allows skiers to customize both the cuff and top part of the liner, getting rid of any potential pressure points.” Tecnica claims that this system can be used to either increase the cuff volume by up to 10% or decrease it by up to 5% (however, Blister reviewer and Masterfit-certified bootfitter, Kara Williard, says the system does not work very well when attempting to decrease cuff volume). As I didn’t have any pressure points on my calf, I did not have this adjusted. The Mach1 Pro W LV’s 35 mm woven velcro powerstrap is narrower than the 45 mm powerstraps found in the other boots I tested. Since it is fairly narrow, I haven’t been able to comfortably place the powerstrap across the top of the shell, and I instead typically place it above the shell and directly on the liner. The four micro aluminum buckles on the Mach1 Pro W LV are easy to open and close smoothly thanks to the slight up-turn on the ends, and micro adjustments are possible by simply turning the buckles. 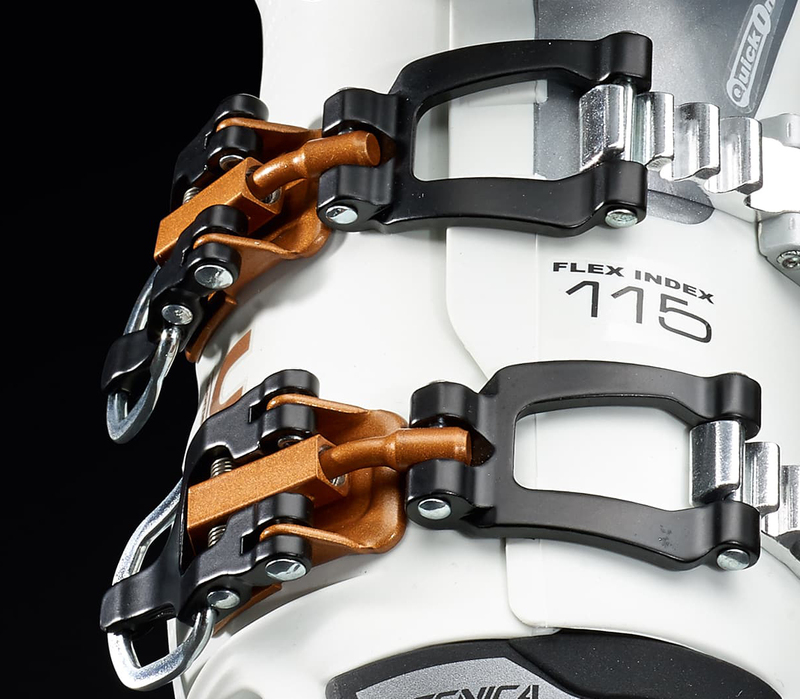 The buckles also lay flat when not in use, and Tecnica’s “Lift Lock” mechanism allows the buckles to stay out of the way when putting the boot on or taking it off. One thing I noticed with these boots is the tendency for snow to find its way into the shell. Even on days where it hadn’t snowed recently, snow would somehow work its way inside the shell near the toe and ankle area. Fortunately, the snow didn’t make its way through the liner, but it did make for a colder boot. I can’t say that I noticed any of these benefits as I didn’t find the Mach1 Pro W LV to be any warmer than other boots I tested. The Nordica GPX 105 W liner features Primaloft insulation, and I found that liner to be warmer than that of the Mach1. The Mach1 Pro W LV’s liner feels comfortable with good padding, and there hasn’t been any noticeable deterioration after 30+ days of use. 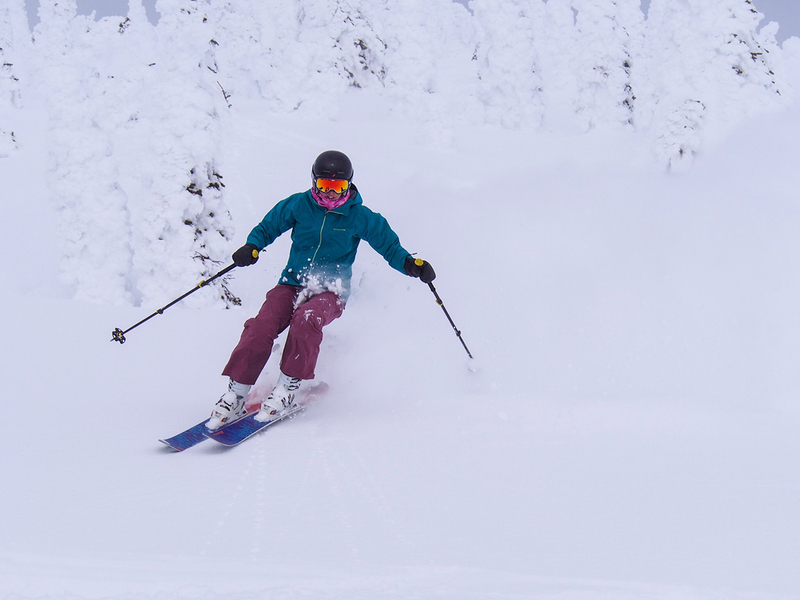 It’s also worth noting that the Mach1 Pro W LV’s liner is slightly taller than the liners on the Head Raptor 110S RS W and Nordica GPX 105 W.
While stated flex ratings can be quite arbitrary, the Mach1 Pro W LV is the stiffest boot in Tecnica’s Women to Women lineup. Compared to other boots I’ve tested (e.g., the Nordica GPX 105 W, Head Raptor 110S RS W, & Atomic Hawx Ultra XTD 110 W), the Mach1 is by far the stiffest. The flex pattern for the Mach1 Pro W LV is relatively smooth and consistent, although there were two instances when I blew through the flex of the boot. 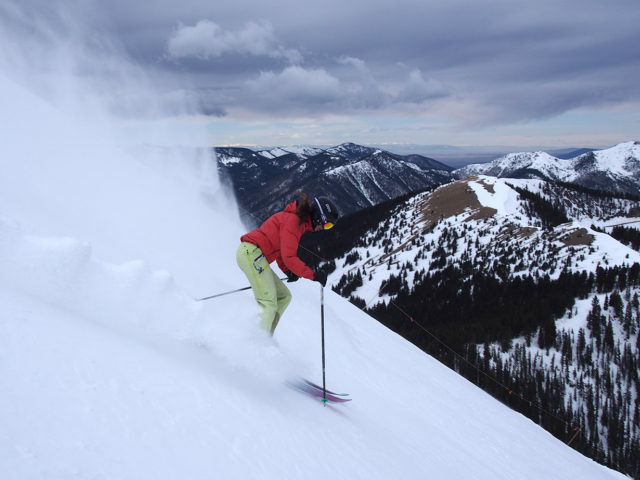 Both of these instances occurred while skiing particularly challenging runs when I was putting a lot of forward pressure on the boot. Fortunately, this only happened two times. I have applied a similar amount of pressure on these boots on many other occasions, and the boot has consistently maintained its flex. In warmer temps, I have found that I need to buckle the boots down more as the flex seems to soften just a little. As mentioned above, the Mach1 Pro W LV is the stiffest ski boot I have tested. With the exception of the two times the boot collapsed when I was applying very hard pressure, it has provided a consistent, supportive flex. The Mach1 Pro W LV is laterally rigid and no matter how far into the backseat I got, the boot maintained its rearward support and it was possible for me to easily correct my body position. There’s some scuffing visible on the shell of the Mach1 Pro W LV, but the liner hasn’t packed out after 30+ days, and the shell is as stiff as it was on day one. Additionally, the soles seem to be holding up nicely. 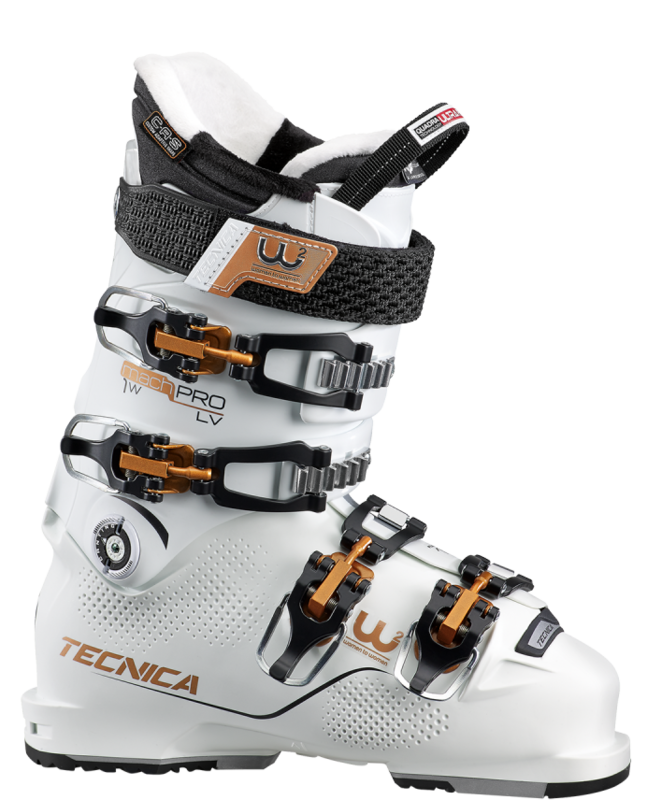 If you’re an advanced to expert skier looking for a stiff, low-volume boot, check out the Tecnica Mach1 Pro LV W. Of the three low-volume boots I’ve tested, this is the boot I reach for first. 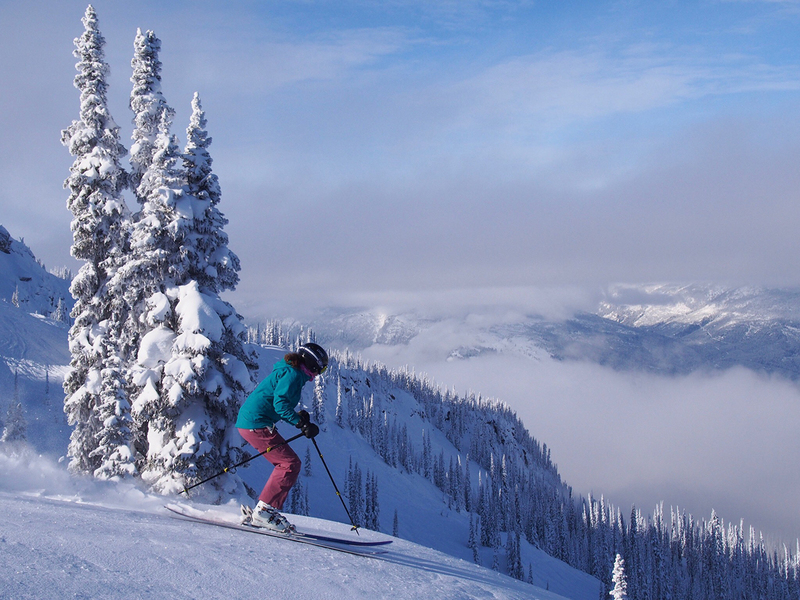 Wondering if you’ve ever skied the Dalbello Kryzmas, and if so, whether you found the fit comparable? Unfortunately, I have not had a chance to try the Kryzmas, and therefore can’t comment on the fit. How high the cuff goes and what todo you think the ramp angle is on this boot? Did you try the Solomon ProMax 120? It sounds like we have a similar fit.